The Objection: Head covering cannot be limited to the local church gathering since the reasons that Paul gives for wearing it apply at all times. He says the the head of woman is the man (1 Cor 11:3) and that women are the glory of man (1 Cor 11:7). These are true all the time, not just during church. Also the angels (1 Cor 11:10b) observe us outside of church as well. Since that is the case, head covering should not be limited to when the church gathers together. This type of argumentation presupposes that the covering (or lack thereof) symbolizes divine truths at all times. It does not recognize a distinction between its common use 1) ie. protection from the weather, fashion and its symbolic use. They see head covering as applicable whenever and wherever the facts about creation, nature and angels are true. When we look at head covering in the Scriptures we see two “limitations” that show it is not a perpetual symbol. There are times when a covering is symbolic and there are times when it is not. It is because of this that head covering doesn’t have to be practiced in all situations, even while the permanent facts that Paul appealed to remain true. Let’s take a look at what those limitations are right now. 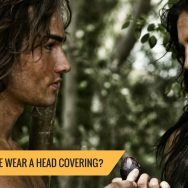 One limitation to head covering is the fact that it’s only introduced in the New Testament. No where in the Old Testament is head covering commanded and men were never told back then that if they prayed with something on their heads it would “be a disgrace” (1 Cor 11:4). 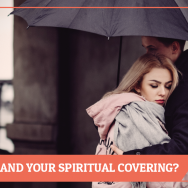 The lack of any instruction or warning concerning the use of coverings in the Old Testament show us that it didn’t carry that symbolic meaning then. Also, the very fact that God commanded the Levitical priests to have “linen turbans on their heads” (Eze 44:18) further strengthens that point. So even though angels were observing us and man was still the head of woman (1 Cor 11:3), the head covering command did not apply at this time. Another limitation on head covering is the fact that it’s only for when a person is “praying or prophesying” (1 Cor 11:4-5). This tells us that when women are not doing those things that there’s no command for them to be covered. Paul therefore places a limit on covering to show that it’s not for all situations. Head covering is only for when one is engaged in specific actions. The reason why a head covering can be disgraceful in one setting, but not in another, is because symbols can take on meaning at specific times or when engaged in certain actions. Let’s conclude by looking at another example of this in the very same chapter. When we partake of the Lord’s Supper we’re doing so in remembrance of Christ (1 Cor 11:25). The bread & wine take on a symbolic meaning when we eat and drink of it corporately. There is nothing unique about bread or wine but during the church gathering they are given a special significance. Think about it like this, at home you eat bread and drink wine in any manner. They are common elements that we use for nourishment. However, when the symbol is partaken of during church we’re to examine ourselves first (1 Cor 11:28) and the Lord threatens sickness and death if we eat and drink of it unworthily (1 Cor 11:29-30). The serious consequences should tell us that at this time the symbol is set apart as holy. It’s not like any other time that we eat or drink of it. Though they are common in one setting, they are set apart and infused with symbolic meaning in another. When we leave church we can eat and drink without examining ourselves just like we can cover or uncover our heads as we please. When we are not gathered corporately then bread, wine and a covering for our heads fulfil their common functions. However, when we do gather together they are set apart and given symbolic meaning. The objection in this article presupposes that a covering (or lack thereof) symbolizes divine truths at all times. Any limitation on head covering nullifies this presupposition. The Bible limits head covering in two ways 1) by being only for those under the new covenant and 2) by being only for when people are “praying and prophesying”. If a symbol if defended by a permanent/perpetual fact, it does not necessitate that it carries that symbolic meaning at all times and in all situations. Eating bread and drinking wine is one example of something that has a common use but is also symbolic at certain times. What about the verse that commands us to “Pray without ceasing”? And prophesy in the application off this passage of scripture means to teach. I believe that we should be praying and prophesying as a way of life. We are prophesying when we teach our children and when we tell someone about the Lord. As much as I appreciate this page and I am very thankful for how it has strengthened my belief in head covering, this is the one thing I really disagree with. In short, the prayer is not all prayer, but prayer that is happening within a certain context (or some others would say public prayer instead of private prayer). Prophesying is not teaching, but a spiritual gift that is exercised for the benefit of the gathered body. Thanks for communicating your disagreement in a respectful way. That’s really appreciated and sets a great example. If you feel like the context doesn’t limit it to corporate worship then you should cover in all contexts. I can see your point to a degree, we will just agree to disagree and yes I cover daily. I don’t want to be critical of what your are doing here by having this page. It is a wonderful thing helping women understand God’s commands. I am Mennonite and was raised knowing that it was a command of God but I had heard so many people explain it away and so although I covered and knew why I did, I didn’t have near the strong conviction that I do now and I have been able to share this with some of my friends and hopefully strengthen their beliefs. So God bless you and thank you for your time and research and for sharing it with us all. I don’t feel there’s anything further I should add here – but also respectfully disagree. The arguments are not convincing for me personally and I struggle w/ ‘teaching’ on here as I am a woman and do not feel that is my place… just not sure. May I just say tho as a testimony that over and over again I hear that covering full time is related to pride, being judgmental and legalism. It need not be that. (this post is not saying that – I realize – but it’s been inferred in testimonies, comments of others, in my ‘real life’, etc.) But yes – if we believe something to be right – then there is a judgement in that – cause it also means we believe something is ‘wrong’. (and that’s a whole biblical subject in and of itself) I have an intellectual mind – but there is more than one conclusion about ‘when’ to cover from a study of the scriptures. (Some of the ‘reformed’ sermons/writings that I have listened to/read admit that – and some have ‘started’ w/ that presumption…) There is a Truth, I believe, on this. Let’s keep seeking the Father as we discern our applications. And may ‘I’ be loving in my practice and sharing (God’s definition of love – not just the warm fuzzies we often think of ) Oh this is my pray and oh how I fail miserably at times and am brought to my knees in tears. My life personally is quite the balancing act – and I can’t do it ‘right’ on my own strength to be sure! And its also sure that God is using this site to his glory…. may He be praised! Thanks Joyce! Grateful for you. Actually Joyce, in this issue, I think it is going to take women teaching women (especially older women teaching younger women) if this is going to be restored to the Body of Christ as a “norm” again. Because of the intrusion of feminism into the church, many women will not listen to a man on the subject, but may listen to another woman. So I do think it is your place (and other women) to talk about these things. As we learn more about what the Bible truly teaches on this (or any other topic) we will be better equipped to impart it to other women. And only women can share what their experience is as they cover. Although I believe the Scripture is commanding women to cover for corporate worship, there is nothing wrong with choosing to go above and beyond and cover in other settings. I have personally felt closer to God and that it was pleasing to Him when I have done so. Just like we are commanded to pray, or give or read the Word. or attend church. We may discern a minimum that we feel is necessary, but there is nothing wrong in going beyond that and offering God more. There are plenty of venues where I ‘teach’… my woman to woman blog for one…, FB, real life, etc. but this site is run by a male and I didn’t want to teach over him. But agreed – teaching is definitely needed! Thanks for your encouragement. Himself; Baptism, Communion, Marriage to name a few. Hi @rosettastoll:disqus, thanks for the question. Glad to hear you’re looking into these things. “Law” no matter how it’s defined always applies to Old Testament commands. In contrast, head covering is an apostolic command for the church given after Christ ascended. So not being under “Law” would not include head covering. Jesus said in John 14:15 ““If you love me, you will keep my commandments”. That teaches us that “commandments” and “Christian” are not contradictory. We also believe that when the apostles speak in Scripture, the Holy Spirit is speaking as their words never came from the will of man (2 Pet 1:20-21) but were breathed out by God (2 Tim 3:16). Just to further show apostolic authority Paul said “If anyone does not recognize this, he is not recognized” (1 Cor 14:38). if we were not to obey any laws, then Galatians 5 is out of line. It forbids witchcraft, drunkenness, and a bunch of other laws from the Old Testament. Jesus came to bless us in turning us away from sin, and did not come to loose, destroy or dissolve the law but to pleroo it – pleroo has the idea of filling up a hole to make something level.. in other words, He came to make it more complete, making us to understand it better.. He followed these statements by going on to discuss that not only is adultery wrong, but lusting in the heart is just as bad. Not only is murder wrong, but the hate in the heart is just as bad and equal to murder. People misunderstand what it means to be “under” the law. The law is a schoolmaster to bring us to Christ, but ALL scripture is also for correction, and instruction in righteousness. Grace does not negate the laws of God. The laws are based on loving God and neighbor as we love ourselves. Trespass of the law is sin. God did not come to die for us so we could continue in our sins. We are no longer to yield our body parts to sin, but now to yield them to righteousness. If you think that we are to no longer obey the laws of God which instruct us in righteousness, you should probably read Galatians 5 again. Paul said we should cover ourselves, and that it is a symbol of the position of the husband in the marriage. This is not about the moral laws, but it is about the angels, and us demonstrating our submittting to our position in the marriage. idk why tthat is so hard to understand? Is it really any different than not usurping our husbands position by constantly teaching him? It’s all about the order God created, and us coming into line with that. It’s a symbolic way to demonstrate our willingness to come in line with the order and roles that God created in the Husband/Wife relationship.. at least that is how I see it. And tbh, in our modern society, us women really do need some humbling. I know that this issue has brought this to the forefront for me. I generally don’t even think of my role in the marriage in this light, but the whole headcovering thing just makes me feel differently, and reminds me of my God-ordained position, and my husbands position as well. For the life of me, I can only see where the head covering is required at public worship. The article I just read seems to come to the same conclusion, am I right? Of course, I think that if a woman wants to cover full time for various reasons, she has freedom in Christ to do so.I would hope such a woman would not condemn me for wearing one only at church. I am now going back to what I did as a young Catholic girl — wear a hat to church. It was required. The practice died out in the late 60’s. I am no longer Catholic, but somehow I now feel led to go back to this practice, as I did when I was very young. They took the practice very seriously, and many’s the time I attended Mass with a flattened-out *used* Kleenex laid on top of my head because I’d forgotten my hat. Yes Eliie, that’s our conclusion. I also have started wearing actual hats to church, rather than veils or scarves or other types some ladies use. I also remember wearing hats to church when I was very young, but it sort of died out around when I was 10 or so. I have church hats as well as some that I might also wear on other occasions. I also believe they are required only for public worship but certainly a woman has the freedom to do so more often if she wishes. As I am new to this, I have started wearing a hat whenever I leave the house so I have one with me if I feel I need to. Paul was talking about WIVES basically disrupting the service and asking their husbands questions in the middle of service rather than waiting until they got home later. The entire passage is about order in the church service. It says wives are to say “calm”, not speechless. Part of the problem is that the original language is not conveyed properly in the translations. Haha! ???? I love this story, Ellie Rae! 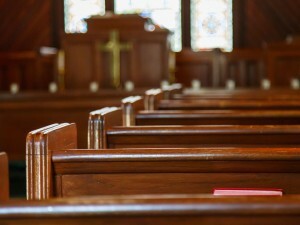 I cover outside of corporate worship for a few reasons, but there are times I’m not covered and I’ll go to pray for my kids and grab a burp cloth or kitchen towel or whatever is within reach for my head. I think I’ve used a Kleenex before too, though not used. ???? The kids get a kick out of that. It’s just a reminder, but for me, it’s an important one. Paul doesn’t mention any location for praying and prophesying – he doesn’t include the words ‘in the church’ (see 14:34). Therefore if a woman is walking down the street and she prays, ought she to suddenly cover her head? When she prophesies or says something from the bible to a friend in the supermarket aisle, ought she to cover her head? Ultimately, if you remain unconvinced then yes, you should uncover for every prayer, and women should cover. You need to follow your interpretation of the passage. I have just recently come to the knowledge of the truth on this issue. To me, since we are told to “Pray without ceasing” (1 Thess 5:17), I feel I am to cover all of the time. It has been quite a struggle to apply this. Honestly the struggle lay in fear of what people would think if I, at 41 suddenly started covering. At first I only covered at church and used the same arguments you just listed to support that. I just felt so unsettled with only covering at church. The directive to pray without ceasing kept nagging at me. If we are to pray without ceasing, and women are to cover when they pray, it is simple…we cover all the time. Once I started covering daily I felt such peace.This may sound silly, but I feel like I have reclaimed my femininity in doing this. I have a constant reminder…a symbol of authority on my head. I feel like I am honoring my God and my husband. Besides, I do pray constantly throughout the day and we also homeschool our children. We use a Hebraic teaching model and we are always in the Word. I don’t feel like I should be doing any of these things without being covered. I am not legalistic about it, it is an absolute joy. I feel so blessed to finally have this truth and the opportunity to live it out. As I have gotten a few more months into this, I have been feeling led to cover more often than just at church, often at devotional times. We don’t “have” to but we “get” to. I really appreciate your thoughts…!! Jeremy, this particular area is probably the primary one where you and I diverge, as I find the underlying principle of the headship testimony to call for a full time veiling, more than even whether “praying without ceasing” calls for full time veiling… I continue to appreciate your work here, however; keep it up, brother! Just a couple questions that come to mind, and if you have addressed them and I missed them, I apologize. Per the concept of the veiling being a teaching for the new covenant, while it is symbolic, it is also a commanded physical act (similar to water baptism, as an example). Not meaning to quibble semantics, but it doesn’t seem that the veiling is primarily symbolic, but at least equally physical, regardless what it symbolizes, and that obedience must come into play as much, or more than, symbolization, otherwise the physical form loses it’s strength as a commanded physical act. Just a thought. Having said thus, the fact that the veiling was commanded under the new covenant and not the old is no different than the command to be water baptized under the new covenant. This does not negate or affirm the corporate-worship/all-time practicing of the veiling, simply affirms that it was given to the church in particular, rather than to the Jewish nation under the law of Moses. The obvious implication is that if a woman shouldn’t have short hair, then it ought to be covered (and implicitly long, though that’s not the point in question right here); is it acceptable for a woman to have short/shaved hair when she is unveiled outside of corporate worship? Does it not make more sense with the text that whenever it is shameful for a woman to have short/shaved hair, she ought to have her head covered? This might be considered an argument for long hair being acceptable outside of corporate worship, except for the fact that it is always shameful for a woman to have short/shaved hair… Your thoughts? There’s two things I’d say. 1) Paul is the one who limits it to prayer and prophecy so that to me indicates he doesn’t mean it’s for all the time. 2) I also think the fact that her long hair is called a “glory” (1 Cor 11:15) indicates that it’s not to be covered all the time. If it were perma-hidden, in no meaningful way would it really be HER glory. An elderly persons gray hair is their glory (Proverbs 16:31) and a young man’s strength is their glory (Proverbs 20:29), both of these examples are things that are seen and used–not hidden/covered/unused. I think long hair is the same–it’s a special glory that adorns the woman, which is meant to be seen. Is that enough to compel wives to cover? I think so. Matthew 6:6 But when you pray, go into your room and shut the door and pray to your Father who is in secret. Jesus in this passage is not saying that there is only one place to pray. The context indicates he’s contrasting two types of prayers. So even though we say “when you pray” we don’t take that and apply it to every single prayer. Other passages clearly show that we can pray anywhere and it’s proper to pray publicly as well. Paul in this passage is not forbidding every form of teaching. Though he doesn’t qualify “teach” the context indicates it’s teaching in a specific context (corporate worship) and a specific type (religious instruction). Surely this passage couldn’t be used to forbid a woman teaching a man English or Math and it can’t even be used to support woman not being able to teach religious matters in any context as Priscilla helped teach Apollos the Word of God more clearly (Acts 18:26). So just because we see “prayer” i don’t think we should immediately conclude “every prayer” but should look to the context to determine if he’s speaking of prayers generally or prayers in a specific context. Every man who prays with his head covered dishonors his head, but every wife who prays with her head uncovered dishonors her head. My point is that we all know what it means to pray, and praying during times of corporate worship calls for a wife to cover her head. I have listened to many pastors go on and on and on about what it means to prophecy, but no matter what it means 11:4 says “prays” and that alone is enough to warrant a wife to cover head. So, if prophecy is no longer a spiritual gift, we still have the part about praying, so a wife ought to cover; unless she never prays during corporate worship. It is false teaching based on speculation that the “perfect” refers to the Bible.. yet in that very same passage, it says that when the “perfect”(something has reached it’s final goal/full grown/mature) comes, we will see Face to Face rather than our vision being obscured as through a dark glass, and we will know even as we are known, rather than our knowledge being imperfect/partial, and this is likened to the difference in understanding/knowledge and speech of a child when he is young vs full grown/mature/perfect. Continuationism is the belief that all the spiritual gifts, including healings, tongues, interpretation of tongues and miracles, are still in operation today, just as they were in the days of the early church. Cessationism is the belief that some of the gifts “ceased” at the end of the apostolic age and are no longer in operation today. The question in cessationism is not whether there are gifts still being given but which ones. But none of that matters when it comes to the issue of a wife covering her head with a removable piece of fabric. Two thoughts, in pairing with your two limitations. 1) New Covenant / Old Covenant — God has frequently chosen to redefine Old Covenant symbols as soon as the New Covenant came into ratification. For example, He set up the physical temple as a symbol of his presence (even though He has always been omnipresent), and Jesus altered that symbol to be first His body and now expressed in our bodies both individually and corporately. Even so, He has never changed from being omnipresent. 2) I think common sense here means we can both agree Paul wasn’t worried about women uncovering their heads in the shower or even (in my opinion) in the privacy of their homes. But while Paul specifically mentions prayer and prophecy, it is your -interpretation- that those are limitations. He never says “only” or “just”, etc. Remember that this is a follow-up to traditions he has already handed down to them, not the original instruction manual. It is possible that women were instructed to cover their heads in general, but some confusion had arisen as to whether or not that applied in corporate worship. After all, there is now no male and female in Christ, right? (Or you could take a historical approach and point out that head covering was more fashion than religion in Greece, and there is even a documented Greek cult that forbade women to cover their heads during spiritual rites, so there was at least some cultural mindset to the opposite of Paul’s commands.) So Paul, writing either in response to their questions or to a report heard, feels the need to clarify and put special emphasis on the activities of prayer and prophecy to demonstrate that these, too, fall under the calling of head covering. Am I saying that women who only cover in church are doing it wrong? Not at all. Believe it or not, I’m still on the fence about this. But I don’t feel like your reasoning was thorough enough to disqualify the other view, either.